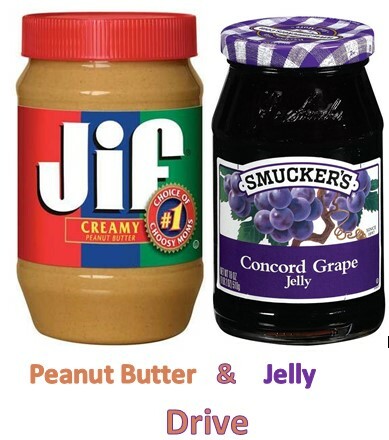 The Top Secret Colonials are sponsoring a Peanut Butter and Jelly Jar Collection for the charity Operation Safety Net. Operation Safety Net helps hundreds of men and women living on the streets of Pittsburgh annually by providing them with access to health care and food. The Top Secret Colonials’ goal is to collect at least 100 jars of peanut butter and jelly for Operation Safety Net. The collection begins today, Monday, September 21. Please drop off jars of peanut butter and jelly outside of Dr. Paullet’s office (Wheatley 229) or at the Wheatley second floor front desk. This entry was posted in events, top secret colonials and tagged Operation Safety Net on September 21, 2015 by Caitlin Counihan.